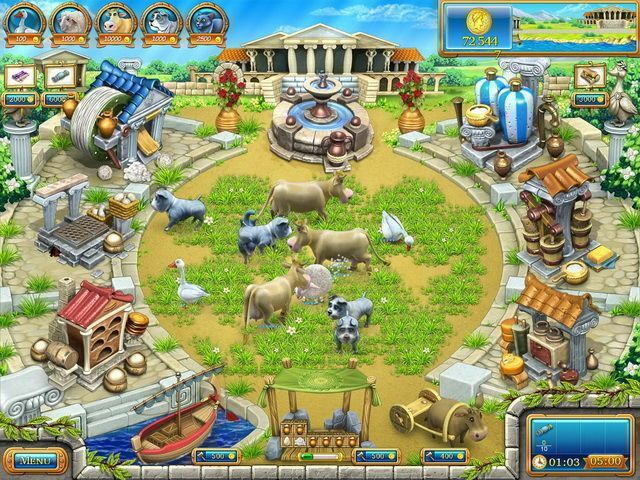 All about Farm Frenzy: Ancient Rome. Download the trial version for free or purchase a key to unlock the game! 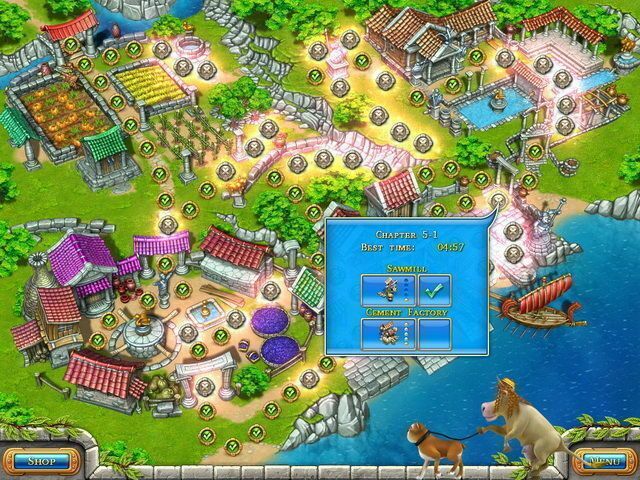 Join Scarlet as she races to grow crops, raise animals and produce essential goods before time runs out. 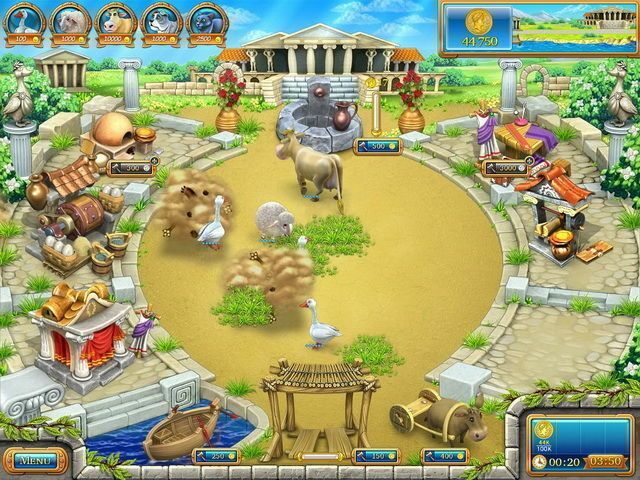 Featuring 90 all-new levels, amazing animation and hilarious visual gags, Farm Frenzy: Ancient Rome is the best Farm Frenzy yet! 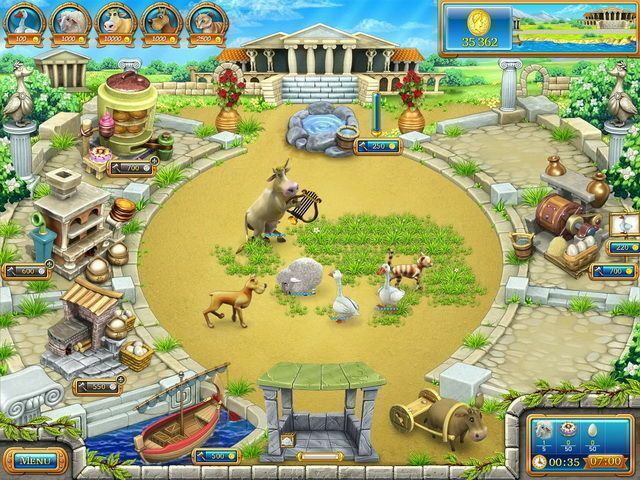 A long time ago, when Rome ruled the world, a courageous young woman named Scarlett farmed her land in an effort to feed her country's soldiers and ensure the return of her beloved from the battlefield. Today, an equally spirited young woman named Scarlett has become an accomplished farmer. What magical bond ties these two women together? 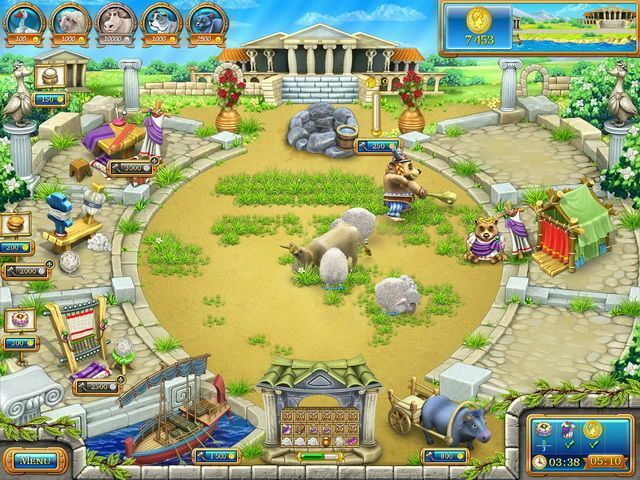 Find out when you play Farm Frenzy: Ancient Rome! 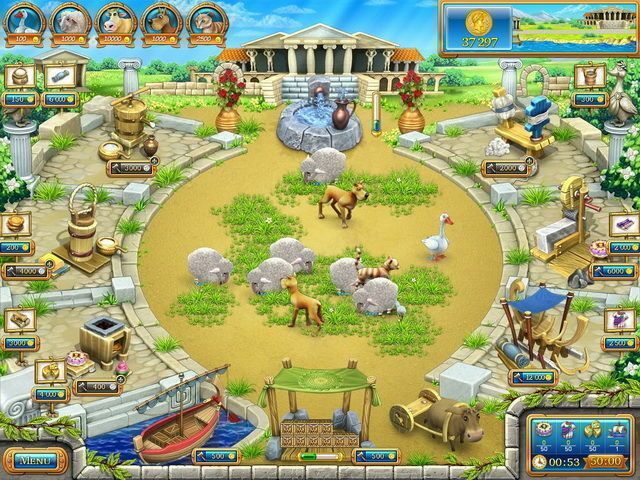 Join the Roman Scarlet as she races to grow crops, raise animals and produce essential goods before time runs out. Be her guiding hand as she sends her products to market on a galley, dispatch her chariot to fetch the supplies she needs, and protect her farm against barbarian bears. Between levels, follow the modern Scarlett in comic-style cut scenes as she solves a tantalizing mystery involving a family heirloom. 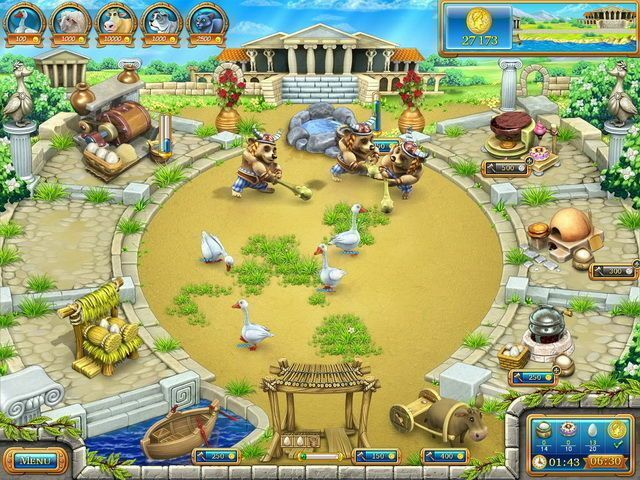 Featuring 90 all-new levels, amazing animation and hilarious visual gags, Farm Frenzy: Ancient Rome is the best Farm Frenzy yet! When will level 51 be fix? I'm waiting more toen a year for iT!! !